The WHO Country Office in Turkmenistan was established in November 1995 in Ashgabat to assist the Government in developing its health policy, health system and public health programmes which address the main health needs of the country through the WHO strategy “Matching Services to Needs.” The Office is the focal point for WHO activities in Turkmenistan and consists of 4 staff members. 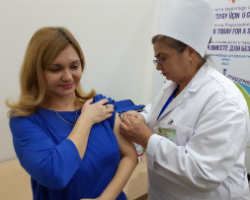 Turkmenistan joined the WHO/Europe Flu Awareness Campaign initiative for the first time this year, with the development of an awareness campaign held on 22–26 October. The campaign featured various activities, including vaccination sessions and a drawing competition for school children. 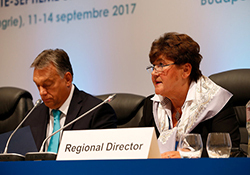 "Leaving no one behind is our call to action"